The cold morning I was out and about in Portland felt like the only block of time I have been able to focus on something other than the labyrinthian process of college selection and the financial aid process. It has been consuming so much time with seemingly little in the way of results, which makes it feels like even more drudgery. As the first bird prepares to leave the nest, maybe all the necessary paperwork is designed to make the final departure feel like nothing in comparison! As I stood along the edge of the breakwater and watched the birds coming and going it allowed me the chance to just look and take in the scene. Nothing else was calling for my attention, it was just the dawn, the birds and lowly me. It was too cold to linger, so I savored it while I could. 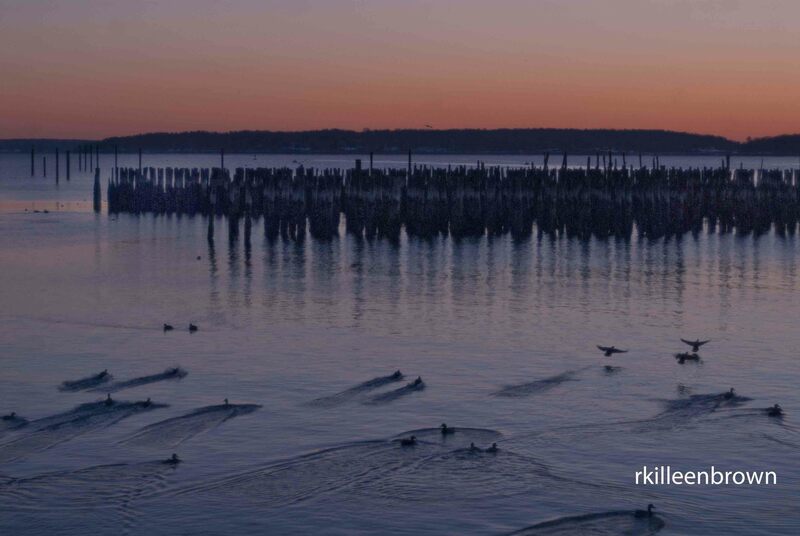 This entry was posted in Photographic Musings and tagged dawn, ducks, Portland Maine, sunrise, time to think by rkb665. Bookmark the permalink.